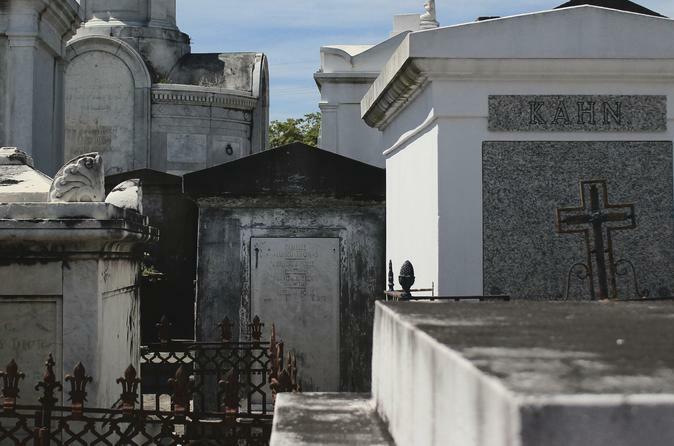 Visit New Orleans' oldest, most active, and most haunted cemetery! There are over 100,000+ dead! This walking tour of St. Louis Cemetery #1 is led by a local guide and has a duration of 2 hours. St. Louis Cemetery #1 houses the tombs of many notable historic figures, most notably that of the esteemed Voodoo Priestess Marie Laveau. Her tomb is the 2nd most visited gravesite in the USA, behind only Elvis’! Bring your camera to capture the picturesque decay, and if you’re lucky, some paranormal activity. Collect your prayers and wishes. This is the ONLY cemetery tour that performs a unique group ritual/blessing at the tomb of Marie Laveau. Along the way, you'll make a brief stop at Congo Square to hear some of the rich VOODOO history, and then, you'll visit one of the cities' first mortuaries!